We recently took our twenty budding entrepreneurs on a visit to the Lagos Business School (LBS) and had the opportunity of learning under Dr. Henrietta Onwuegbuzie, the Academic Director for the Owner-Manager Programme of the school. She mentioned valuable points during the course of her teachings that change may change your perspective of what entrepreneurship is about. She has an MSc in Economics and Business Administration from the University of Navarre in Spain, an MBA from Lagos Business School and a PhD in entrepreneurship, from Lancaster University, UK. Henrietta is a member of the Governing Council of the African Forum in Brussels and sits on the Board of a number of Nigerian companies. 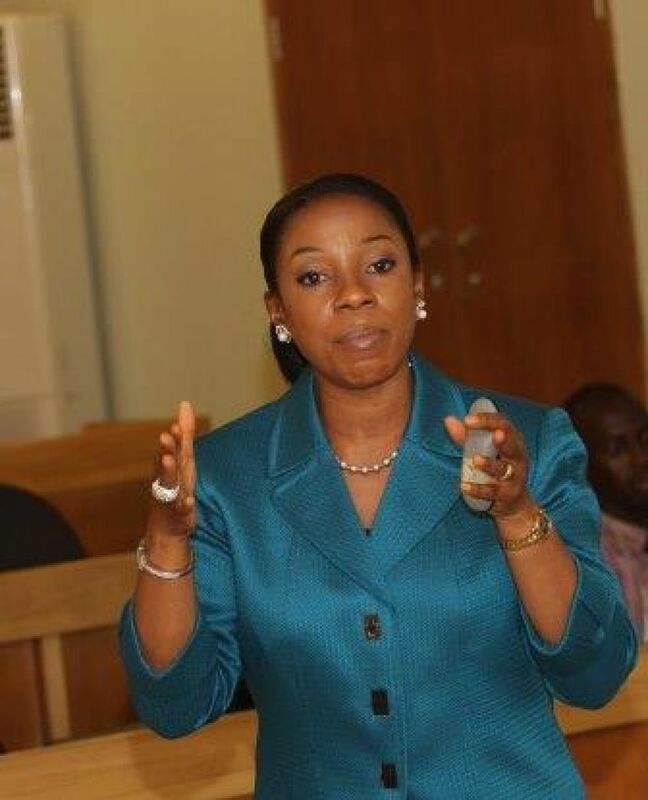 She has extensive consulting experience, spanning projects at the State level to conglomerates and SME's in various industries and is an active member of the Nigerian Economic summit Group. On a voluntary basis, she mentors a number of aspiring and established entrepreneurs. She has been rated top 4% of among Nigerian top Executives in the education management industry, based on company size and international business network strength. She has written several case studies in entrepreneurship and Decision-making and won the first prize for the Emerald/AABS case writing competition in 2012. After taking a brief look at her person, perhaps you may want to take a notepad and jot down those valuable points we were able to gather from her lecture. You don’t need a lot of money to get started. Your creativity is all that matters when starting a business. Every need is a business opportunity. Discover the need and create value for it. Money is not always the driving force when it comes to being an entrepreneur. Some are motivated by the opportunity to contribute to society to make a difference. The reason businesses fail is that people lack management skills. Entrepreneurship involves discovering value creating opportunities, putting resources together to commercialise them and institutionalising processes to ensure sustainability of operations. An entrepreneur recognises and exploits value creating opportunities while a business owner owns and runs a business similar to others. You need your staff as much as they need you. Don’t talk to them, talk with them. Businesses die as a result of poor boss and staff relationship. Ideas are ways of adding value while Opportunities are values people are ready to pay for. See how your businesses can solve social problems. Businesses cannot thrive when society is not at peace. Build profitable businesses around social problems in a way that will transform lives. Every need is a profitable opportunity; business can be used as a tool for social transformation. Impact investing is not charity, philanthropy or Corporate Social Responsibility. Doing well is good for business. Do things in the interest of all than in the interest of you alone.